Save time and money and purchase you master's degree regalia offered by Gradshop to accomodate your graduation requirements in one simple package. Ordering master graduation packages allows you to save rather than ordering individually. 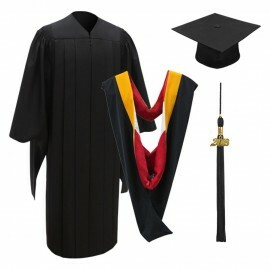 This outstanding Deluxe master's degree academic pack consists of best craftsmanship classic master's degree gown, cap, tassel and hood. When placing your graduation pack order you have the option to customise the master's academic hood and master's cap tassel to your requirements. 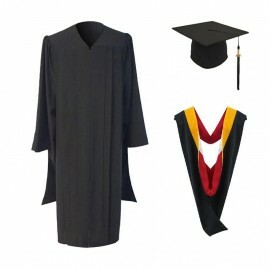 All made simple and accessable to complete your graduation ceremony in comfort and style.